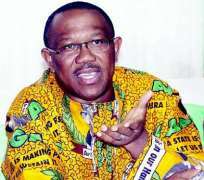 Saturday, November 16, 2013, will mark another day of history in the life of the people of Anambra State, as they come out to elect the successor of the incumbent governor, Peter Obi of All Progressives Grand Alliance (APGA), whose tenure ends in March 2014. With 23 candidates of different political parties taking part in the Anambra governorship election, it is surely going to be an interesting contest, from where the people will choose the best man to pilot the affairs of the state after Obi. However, of the 23 contestants, perhaps only about four can be said to be the major contenders. The four candidates are: Willie Obiano of APGA, Chris Ngige of All Progressives Congress (APC), Ifeanyi Ubah of Labour Party (LP) and Tony Nwoye who was recently affirmed as the candidate of Peoples Democratic Party (PDP) by the Supreme Court. Among these four leading candidates, Obiano of APGA appears to have a better chance of emerging winner in the gubernatorial contest. Aside the fact that the APGA candidate's credentials guarantee his suitability for the job, the highly remarkable achievements of Obi in office, in the thinking of most political observers, analysts and pundits, is clearly standing him in good stead. It is believed that the current governor has performed excellently well in terms of the delivery of dividends of democracy to the people of the state, since he took over the mantle of leadership in 2006 from Ngige, then a member of PDP, after three years of legal tussle to regain his stolen mandate. The outstanding records of Obi is, no doubt, the reason why many groups within and outside Anambra State have continued to endorse the candidature of Obiano, a distinguished banker, technocrat and fellow of the Institute of Chartered Accountants of Nigeria (ICAN) with vast experience in the business circle. Onitsha Bridgehead Traders Association, Truck Drivers Association, Onitsha, Drug Dealers Association, several trades unions, youth groups and market associations. The South East Democratic Network (SEDN) is equally of the groups that are convinced that Obiano is the right man to take over the affairs of the state from Obi. In a statement signed by its General Secretary, Hon. Okereke Elvis Orji, SEDN strongly believes that Obiano is the most qualified and generally accepted candidate for governor in the Saturday election. Other candidates, according to the group, are patriotic illustrious sons of Anambra state who could as well govern the state, but Obiano in their view is the first among equal. The statement noted that “APGA has stamped its authority in Anambra state through the progressive governance of Mr. Peter Obi which has greatly improved the living standards of the good people of Anambra state. Drumming up their support for the APGA's flag bearer, members of Youth for Greater Anambra State (YGAS) said they were interested in deepening, strengthening and consolidating democracy, good governance and rule of law in Anambra State and the country as a whole. Kingsley Elvis, the YGAS's Director of Publicity, in a press statement, observed that Obiano's 10-point agenda and action plans for the state have positioned him properly to clinch the number-one seat in Anambra. Elvis noted that they were resolute in the decision to take their destiny in their hands by making sure that a credible, patriotic, visionary and purposeful candidate emerges victorious in the November 16 polls. In a recent chat I had with Victor Umeh, the man who has won several legal battles to maintain his seat as the authentic national chairman of APGA, he said: “The people of the state had experience civil rule for almost eight years, giving astonishing dividends of democracy. What everybody would be looking for is development and our government has done very well. Our party has not been associated with brigandage that PDP was noted for before we took over government. Anambra State has been restored to the path of rectitude when good news only comes from there. Good news of achievements of the citizens and the government. And I can tell you that they are very eager to allow APGA continue in government in Anambra State….APC is nowhere there in Anambra state. It is not there yet and they cannot make any impact. PDP we are going to beat them again. You know it was largely the CAN that metamorphose into APC. Ngige was the candidate of ACN in 2010, we beat Ngige and the PDP. We will have no difficulty beating them again. still going on everywhere. All sectors are still receiving attention. Some have described Obiano as a greenhorn who is not known to have held any political office in the past, and in their view, he may not have a better understanding of what it takes to occupy an exalted office like that of a state governor. But the former Executive Director in Fidelity Bank punctured that argument when he said in an interview with journalists that “Holding any political office in the past is not a qualification for running a business or a state. When Governor Peter Obi came on board he was actually, by some people's calculation, an unknown entity but you can see that he delivered more than those people saw as big names. There are many unknown people that have come into a race such as this and surpassed all others. What is important is the background of the person coming, the professional competence, ability to drive the process, the person's proven track record, the academic qualification, your ability to know how to access funds to continue with projects and the ability to manage relationships. Disclaimer: "The views/contents expressed in this article are the sole responsibility of Michael Jegede and do not necessarily reflect those of The Nigerian Voice. The Nigerian Voice will not be responsible or liable for any inaccurate or incorrect statements contained in this article."